(Family Features)–The influence of global cultures is increasingly visible in home decor as technology expands homeowners' worldviews. 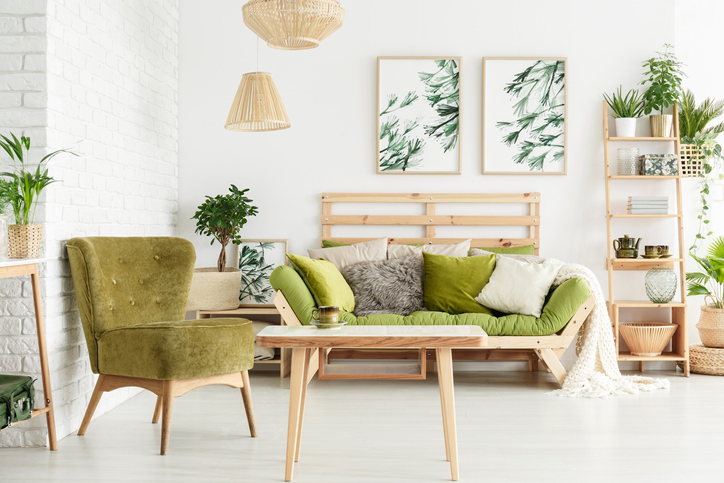 Acting on the inspiration of global trends can be as simple as shifting your outlook to bringing eye-catching features and everyday functions into your home. Nordic Noir. If you crave simplicity and cleanliness, embrace the Scandinavian approach to design that's all about moderation. Nordic Noir upholds values of minimalism and timeless devotion to well-made elements that are beautiful in their own simplicity. Muted colors like blue-gray and pale rose come to life on walls and in fabrics. Doors made of dark metal and wood paired with glass panels bring natural light and warmth into the home. Urban Country. This trend brings the look and feel of rural living to urban spaces by pairing crisp white and warm neutrals with ornate fixtures. Elements like a craftsman-style front door with sidelights help to accentuate the home's original detailing, while well-crafted, handmade pieces bring the heart and soul of country living into the space. Urban Country is perfect for the fast-paced urbanite looking to live a more balanced, slow-paced lifestyle. Rustic Luxury. Geared toward those who need a personal space where they can restore energy and find balance, Rustic Luxury design helps homeowners disconnect from the demands of everyday life. With this trend, the focus is on creating harmony between natural and architectural design elements. Try mixing sculptural design pieces and greenery with natural wood doors and concrete benches for a calming counterbalance to frenetic, fast-paced living. Pretty and Calm. As female buying-power continues to increase, spaces are being redesigned to fit the lifestyles of modern women who often appreciate both contemporary and traditional design. Biophilic elements mixed with pale-hued colors, luxurious touches and textured glass doors are all key features for Pretty and Calm design. To achieve this style, play with textures that feature warm yet bold colors like pale blue, sunshine yellow and sage. Don't be afraid to experiment with dissimilar materials to find the right combination of interest and comfort. Live and Work. If you're one of more than 3.4 million Americans working from home at least half of the time, you may require transitional spaces that accommodate both productivity and downtime. To adopt this design trend, consider the use of furniture and products that can serve multiple purposes. For example, modern barn doors in bold tones of vibrant orange or cool blue can provide privacy during work hours and serve as an industrial design accent off-hours. Mediterranean Escape. If you classify yourself as a traveler, you may favor the style of Mediterranean Escape. People who travel tend to bring blended influences from various cultures home. This trend helps homeowners showcase the intricate detail and culture in those treasured pieces. Paired with wrought iron accents, warm colors and arched doorways, Mediterranean Escape adds sophistication and story to nearly any space. Trends don't have to impede individual design. Global influences like sustainability, craftsmanship and simplicity can be the foundation for creating an environment tailored to meet unique lifestyles and needs.